Recommended for 3.25" Minnows and 3.5" Craws. The 1/8 oz. 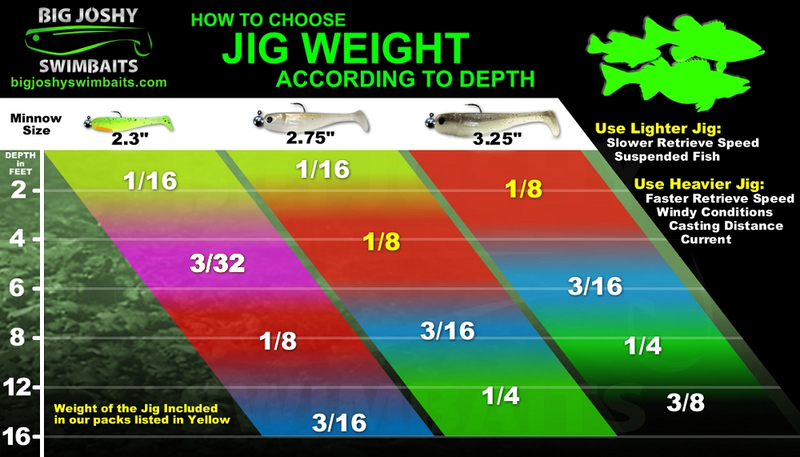 3/0 jig is a swim bait must have. The head is durable as well as the hook. The hook doesn't bend after a few big river Smallies get ahold of it. Definitely a great jig head for the cost. The only downfall I have seen is that the hook does start to rust after awhile but doesn't effect its durability. Overall good product and I always like to support a local bait company.